We’ve changed and we hope you like our new look! 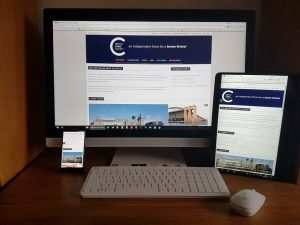 The Bristol Civic Society website has had a facelift, the first step in creating a more engaging and interactive experience for our members and supporters. Over the next few months, we’ll be introducing more changes and new features, whilst retaining the good bits from our old site. If you would like to join us and help with these changes, do let us know; but whatever, please spend a few minutes browsing the new site and let us know what you think of it by emailing webmaster@bristolcivicsociety.org.uk.